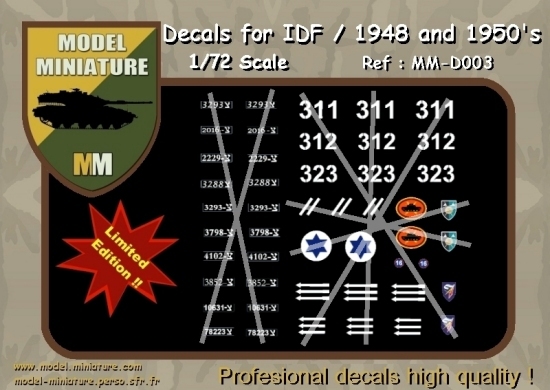 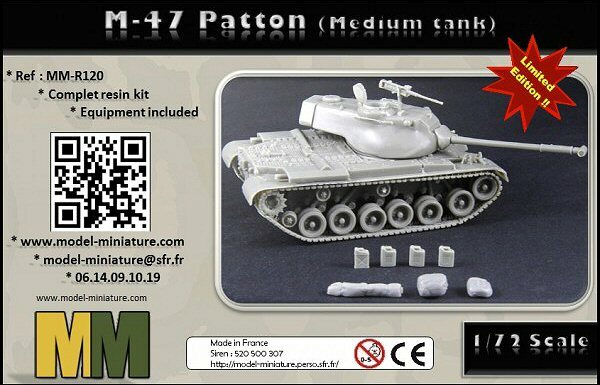 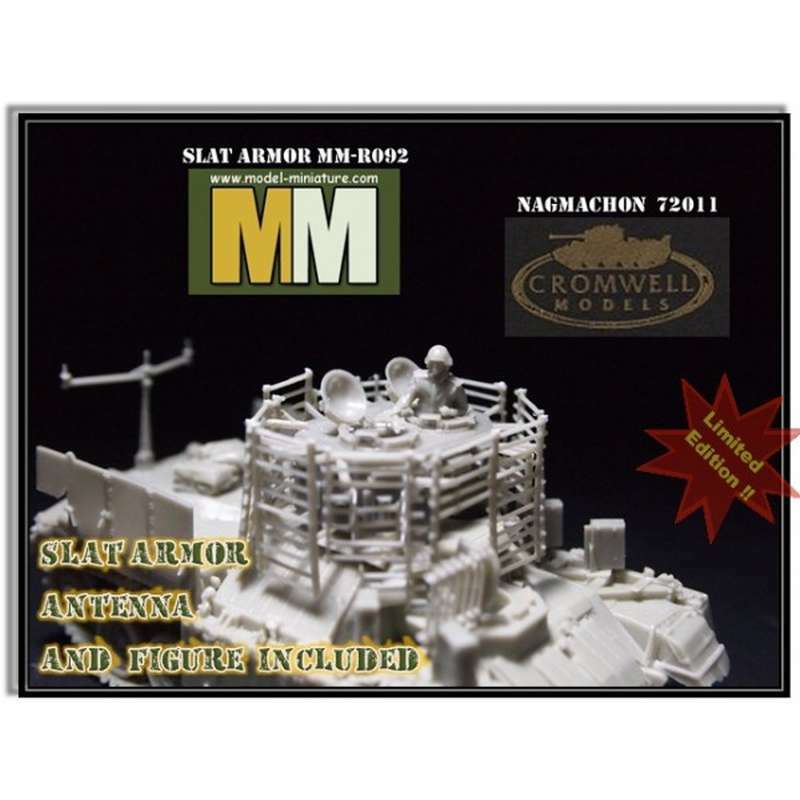 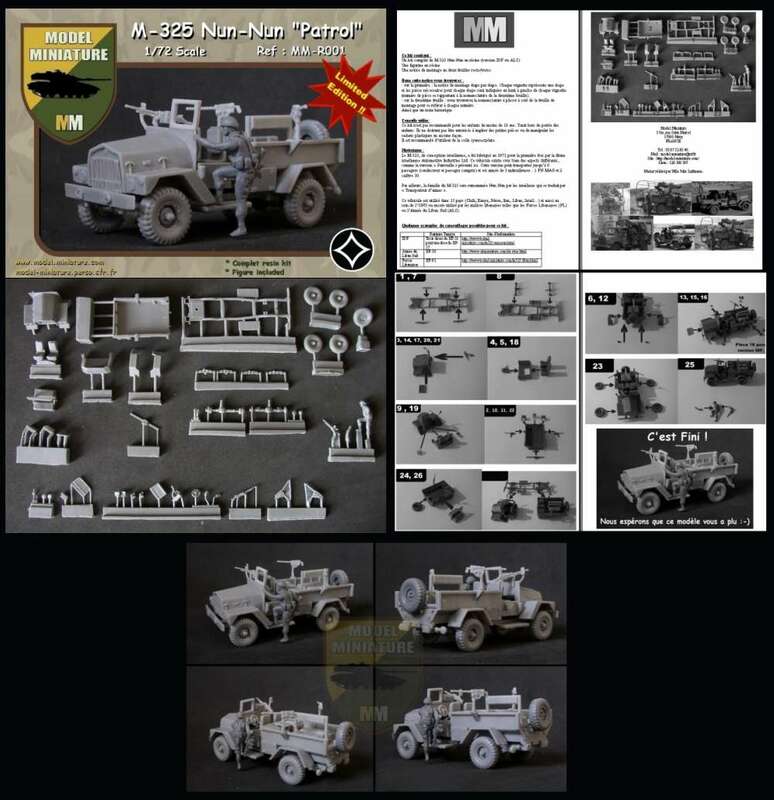 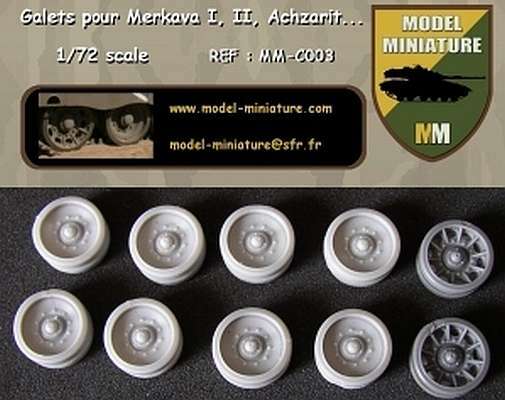 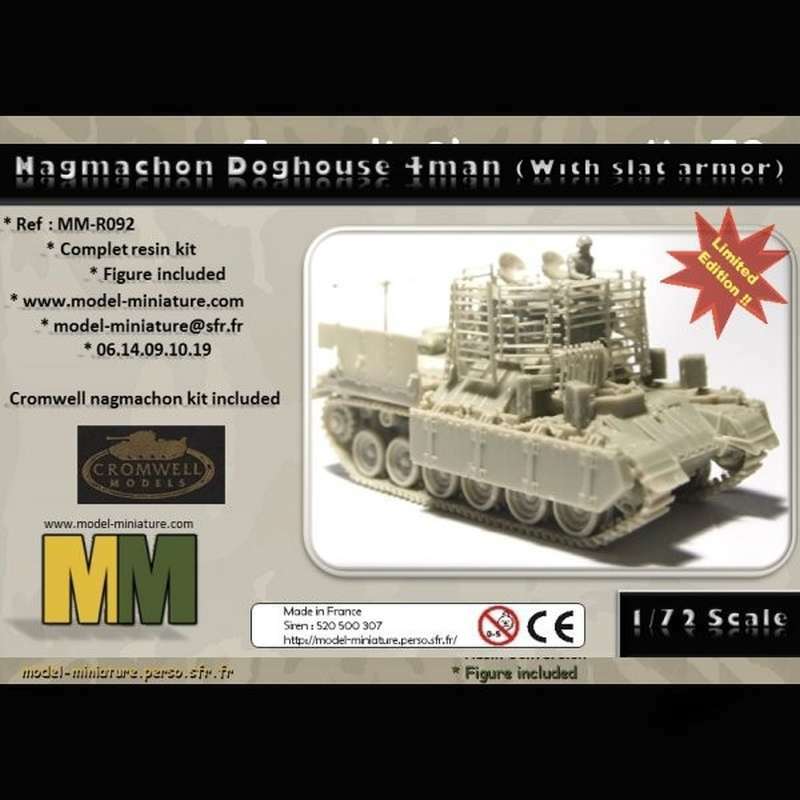 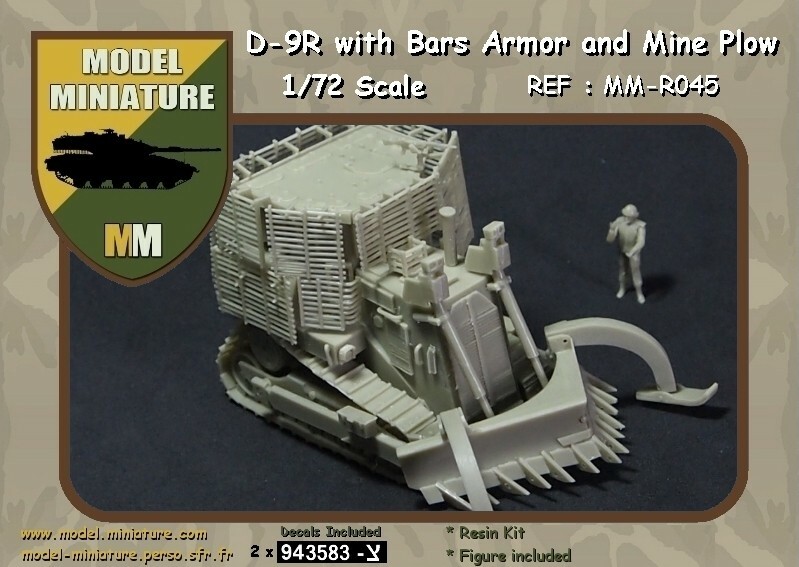 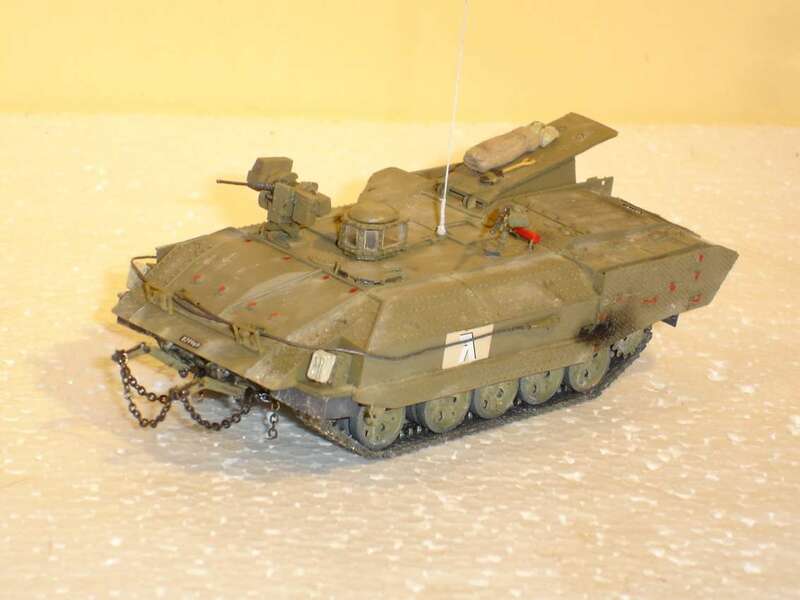 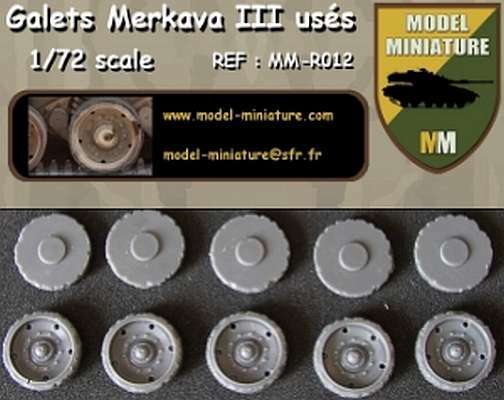 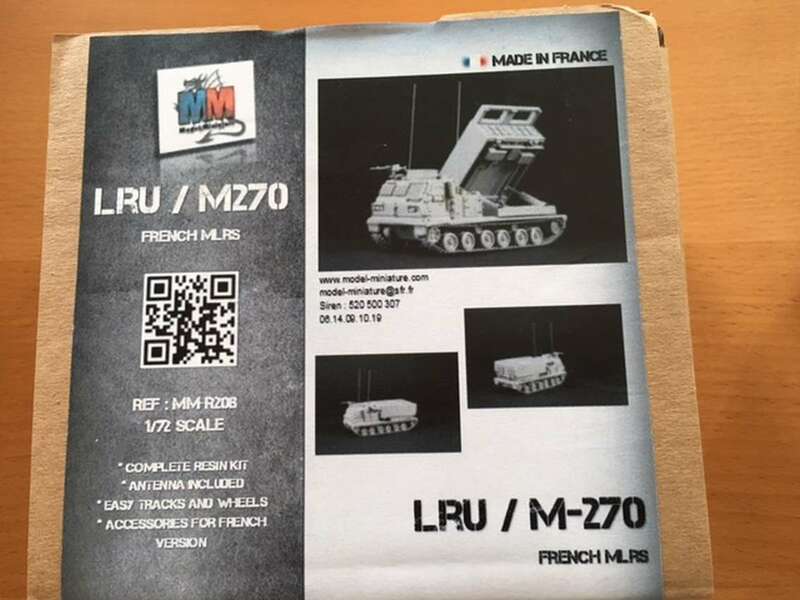 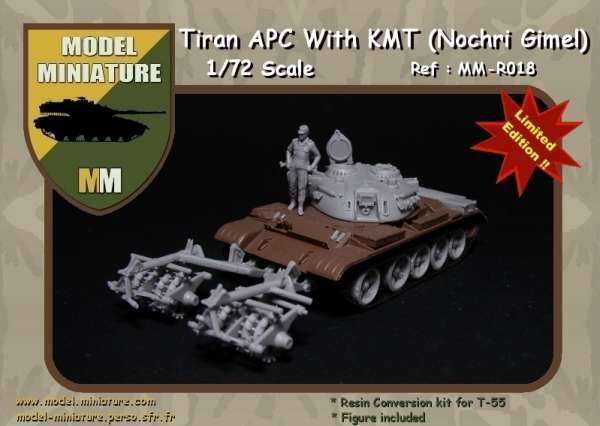 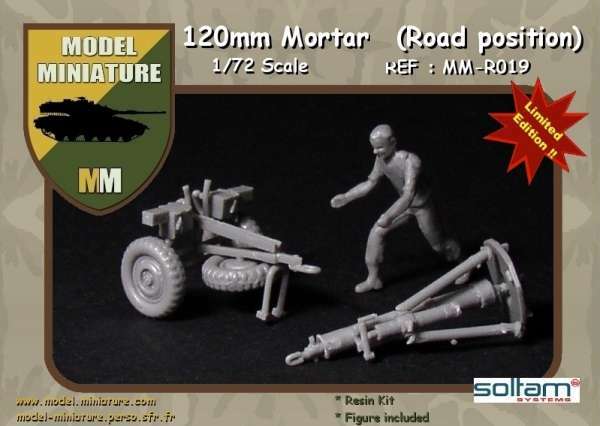 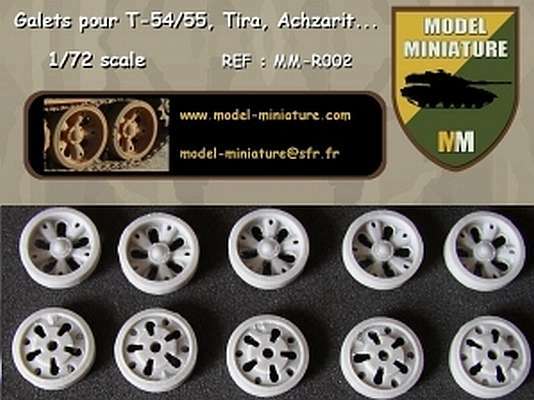 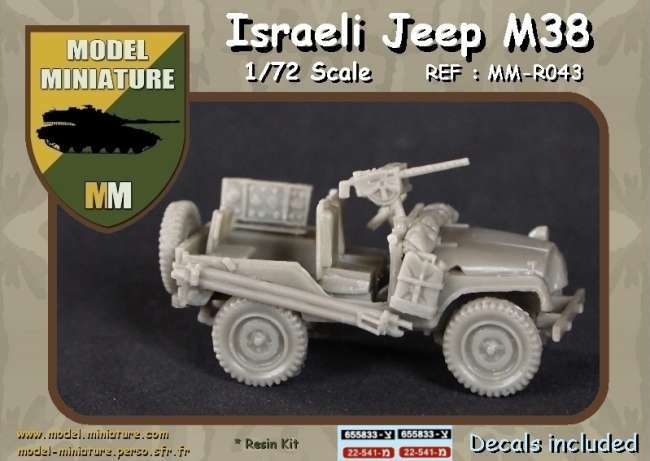 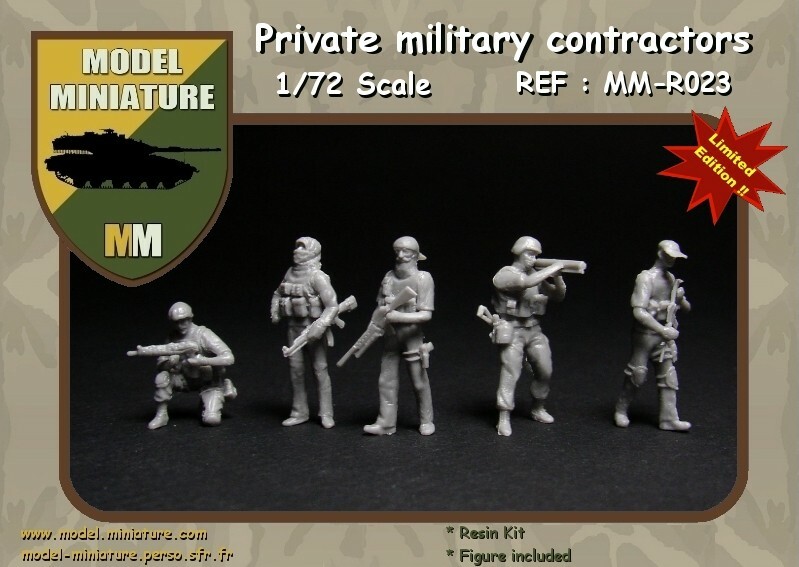 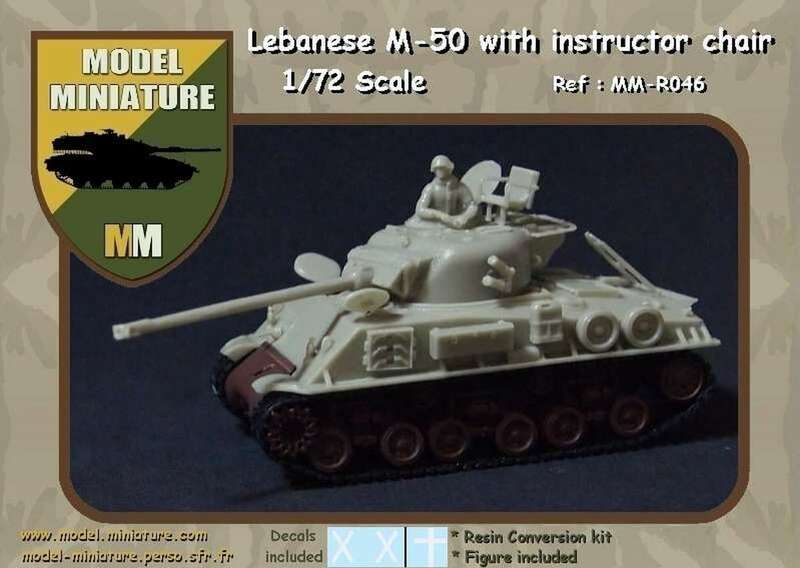 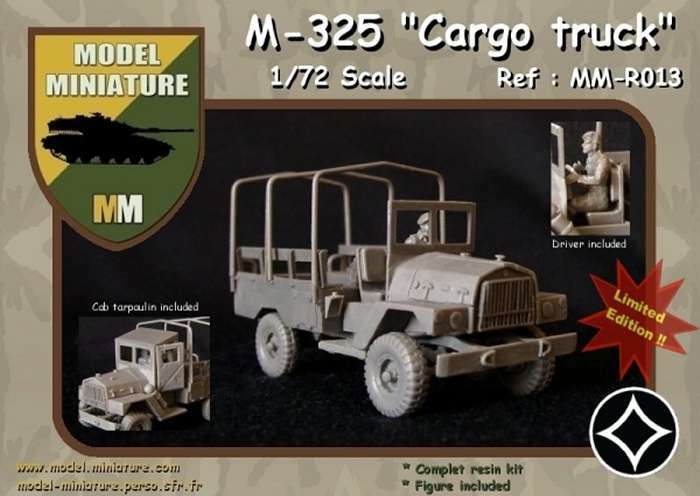 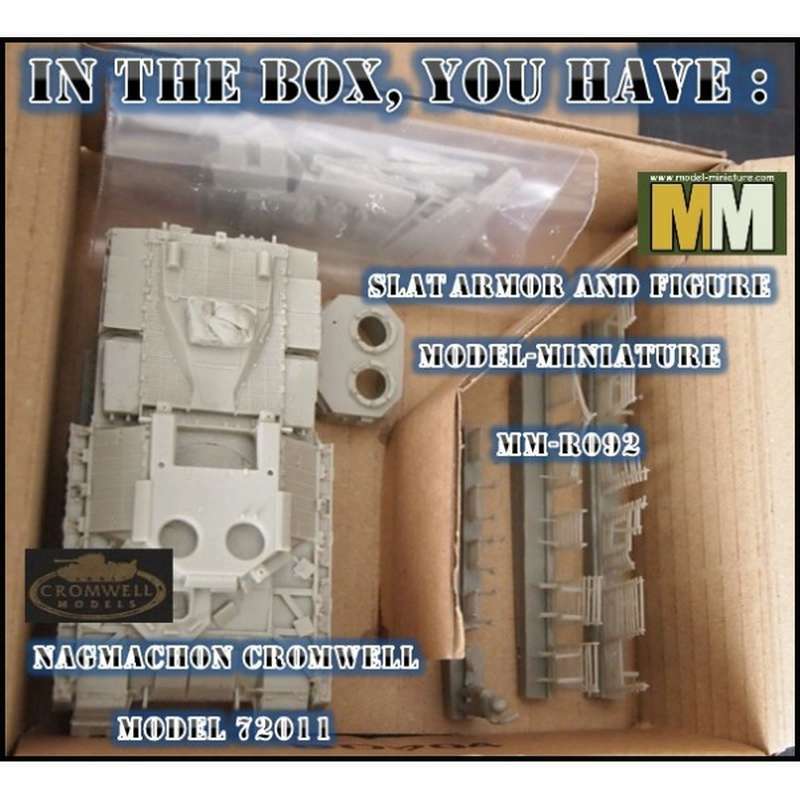 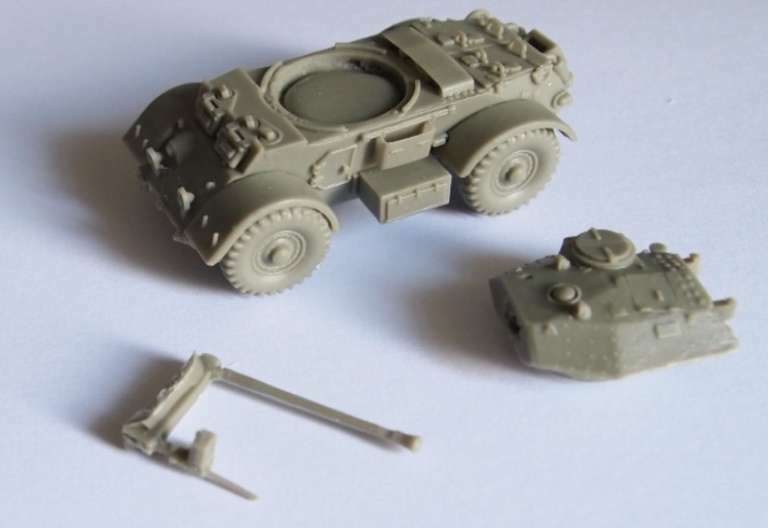 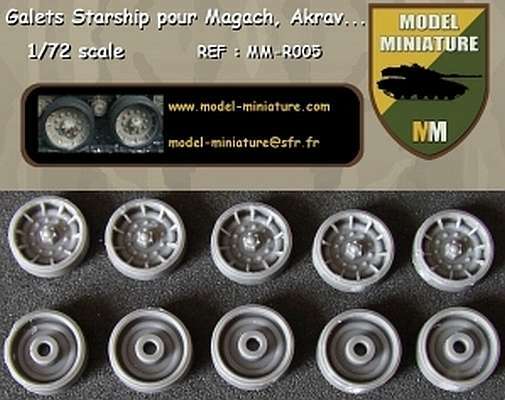 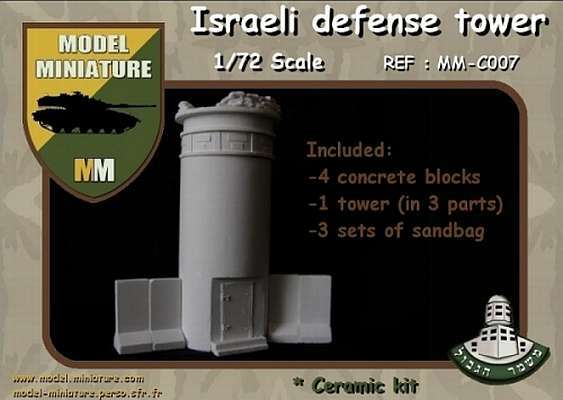 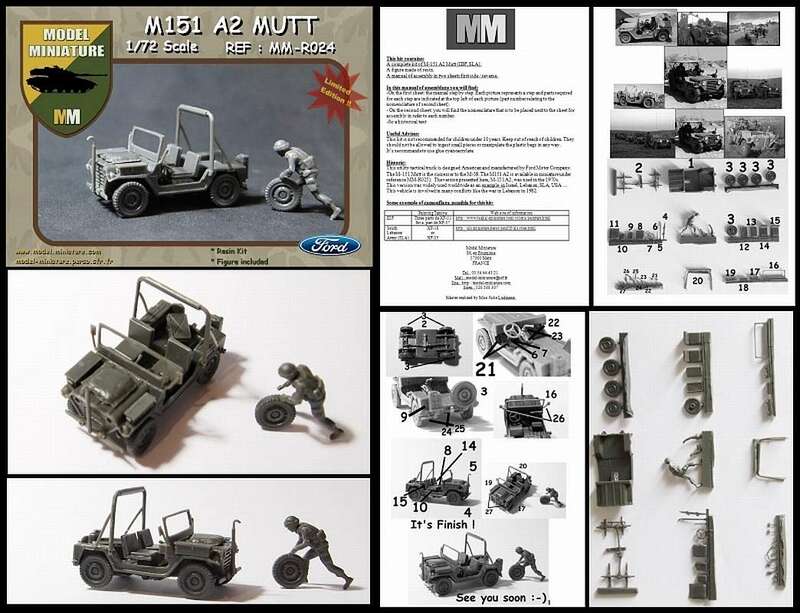 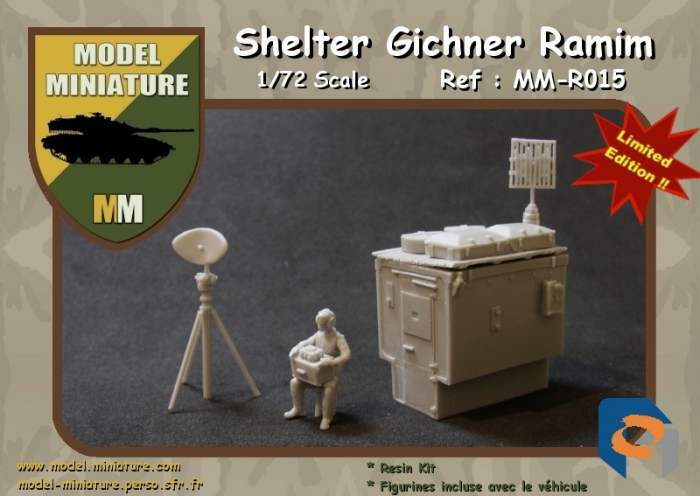 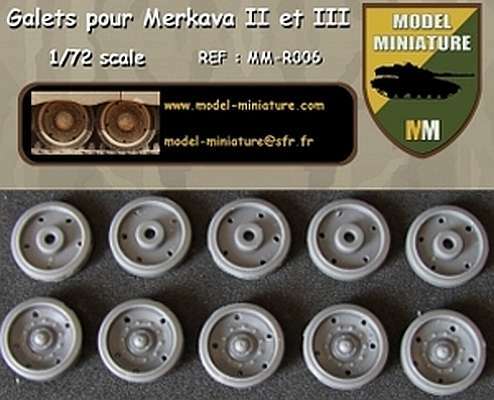 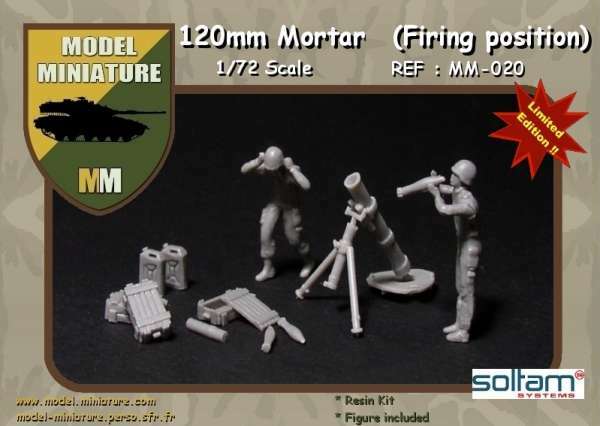 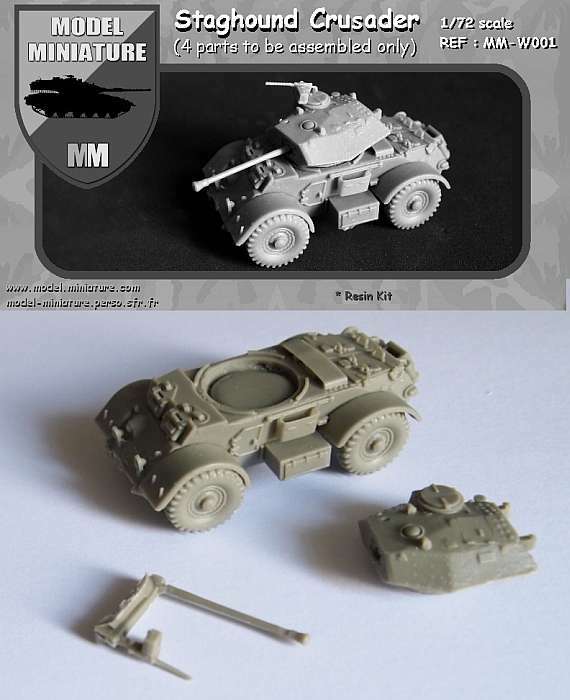 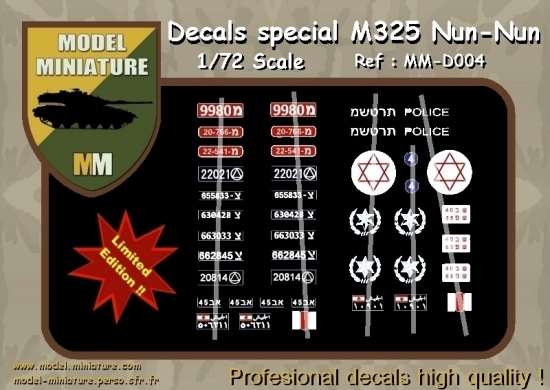 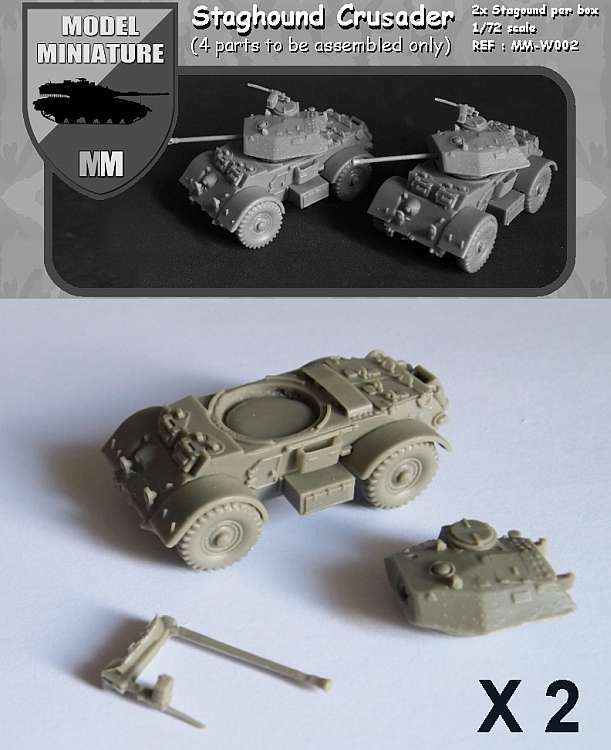 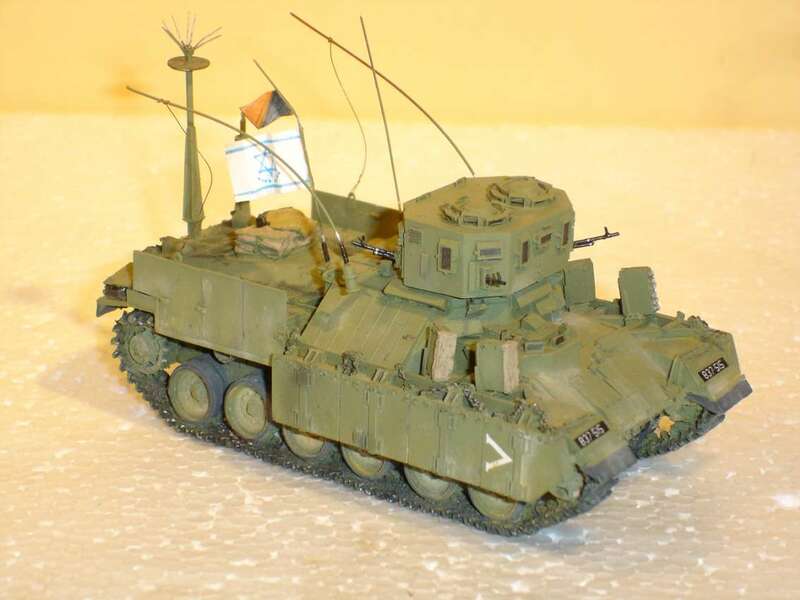 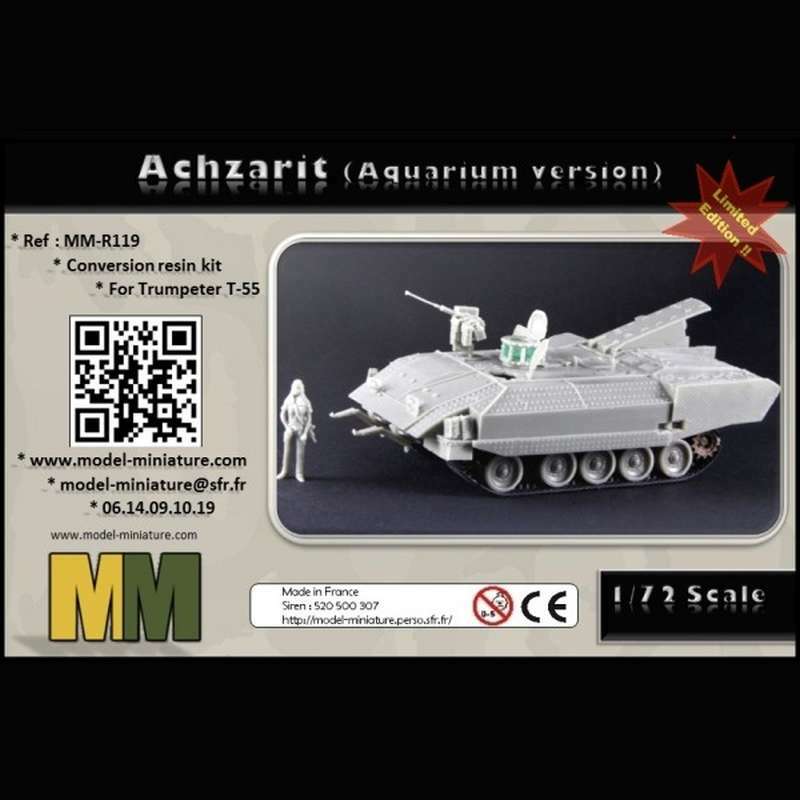 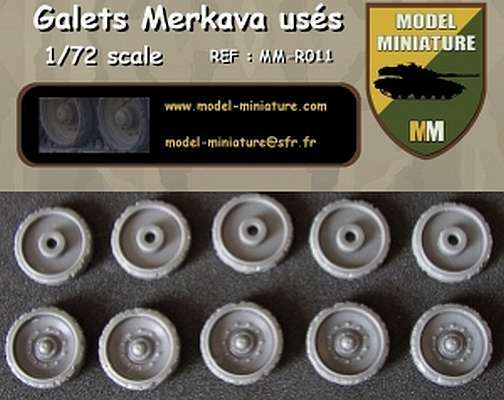 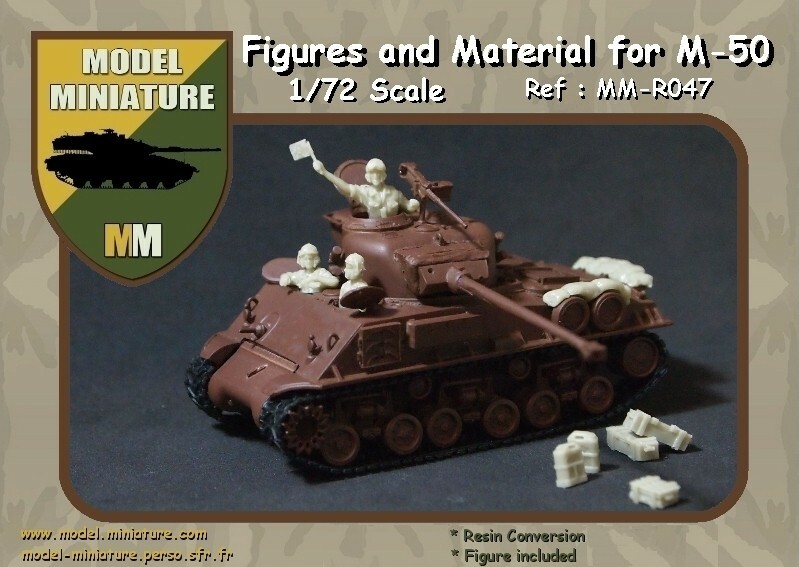 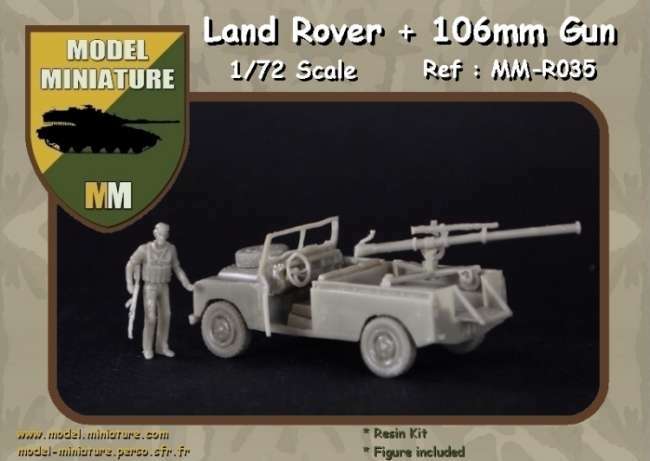 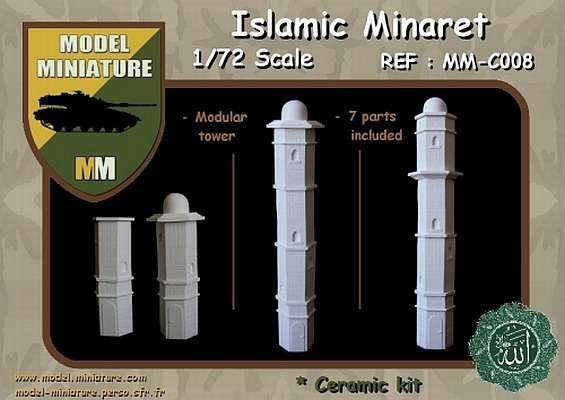 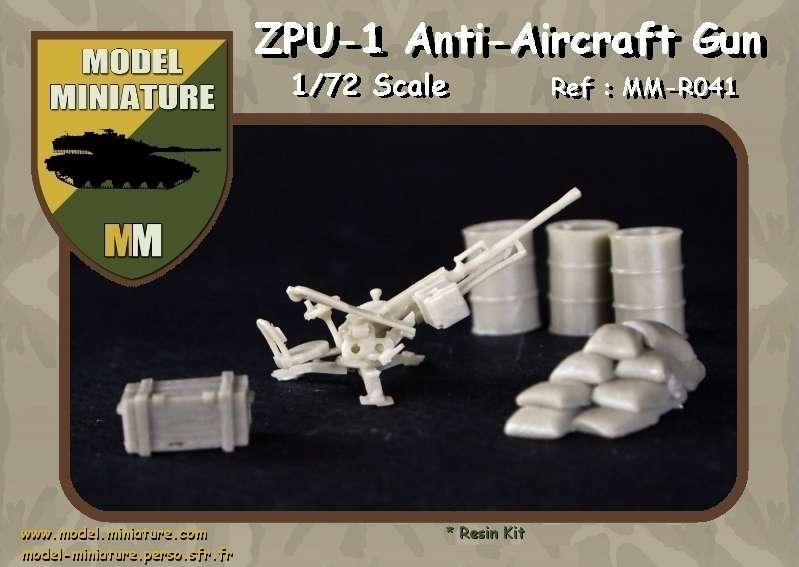 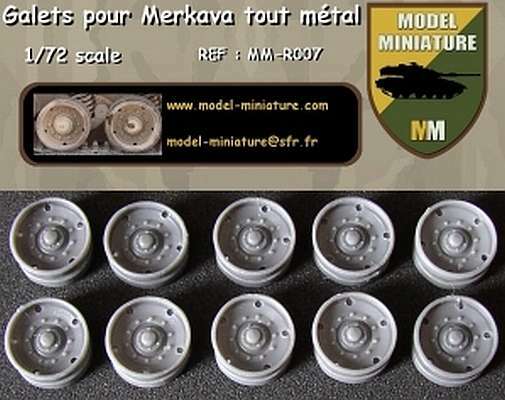 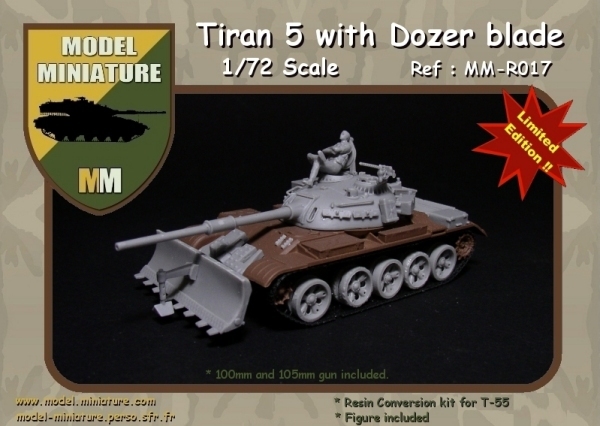 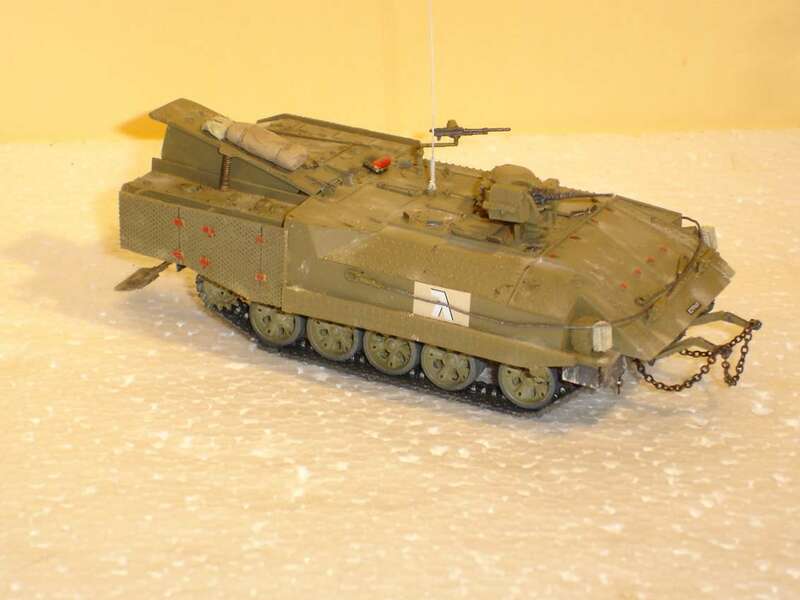 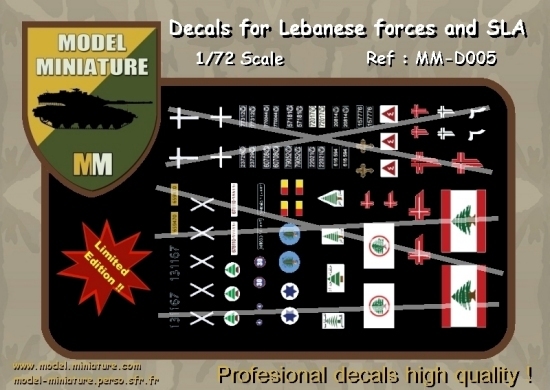 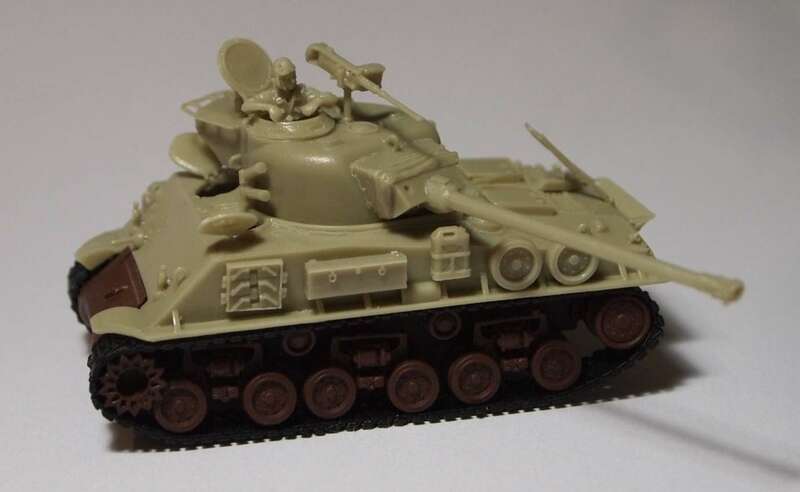 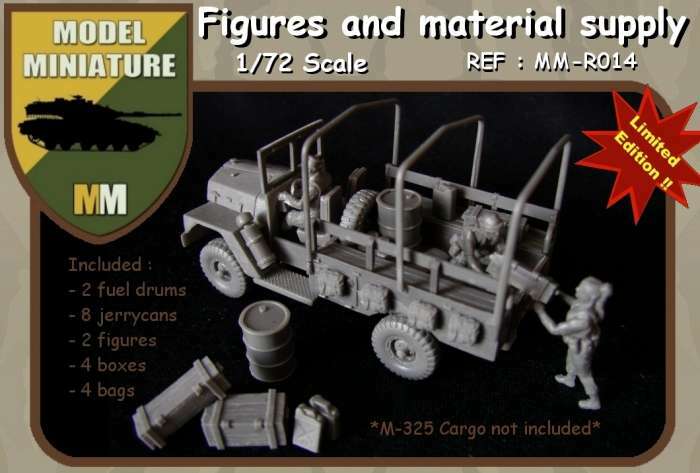 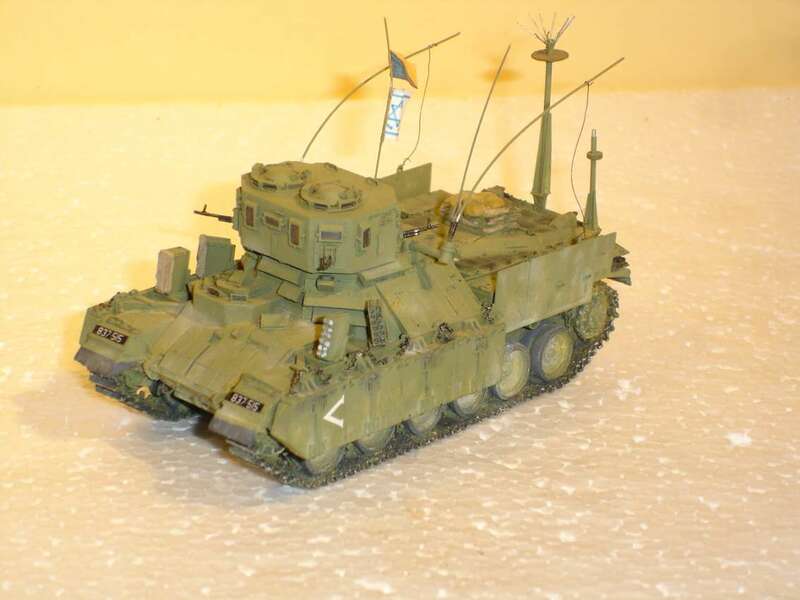 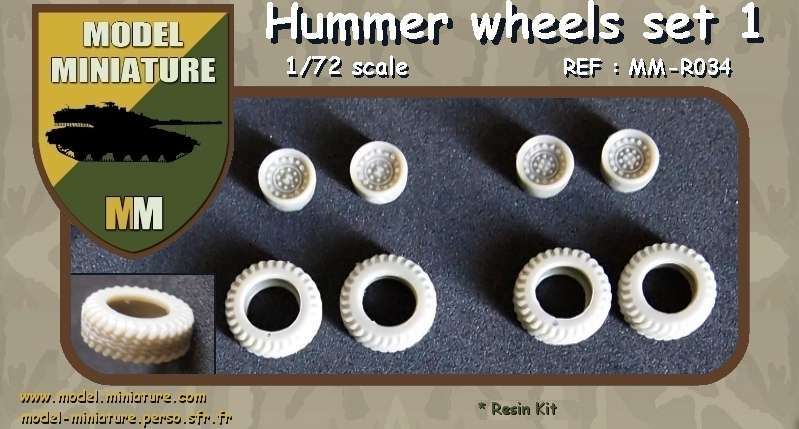 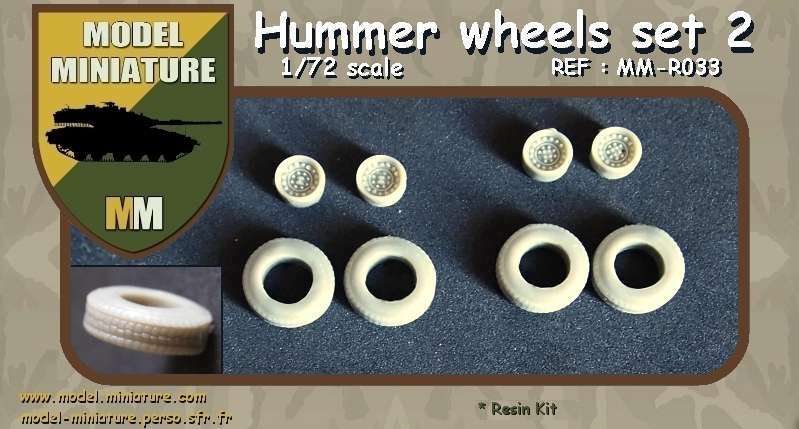 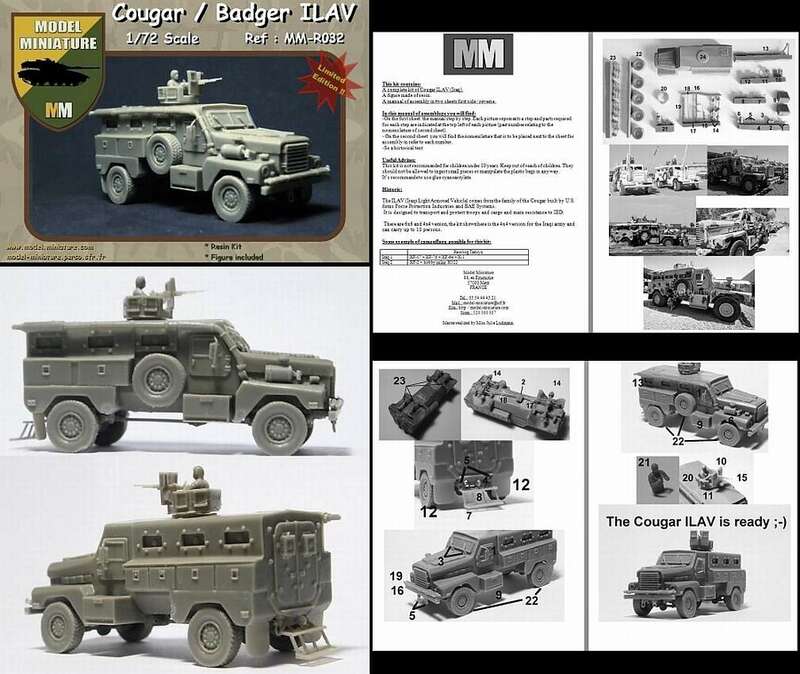 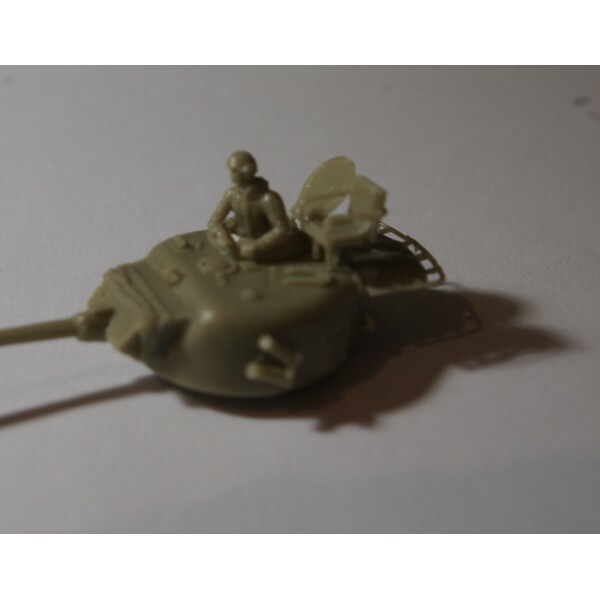 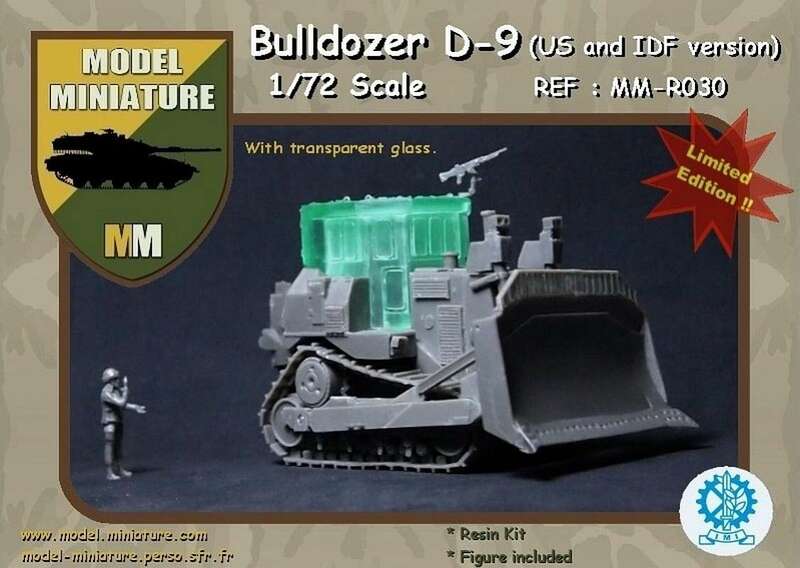 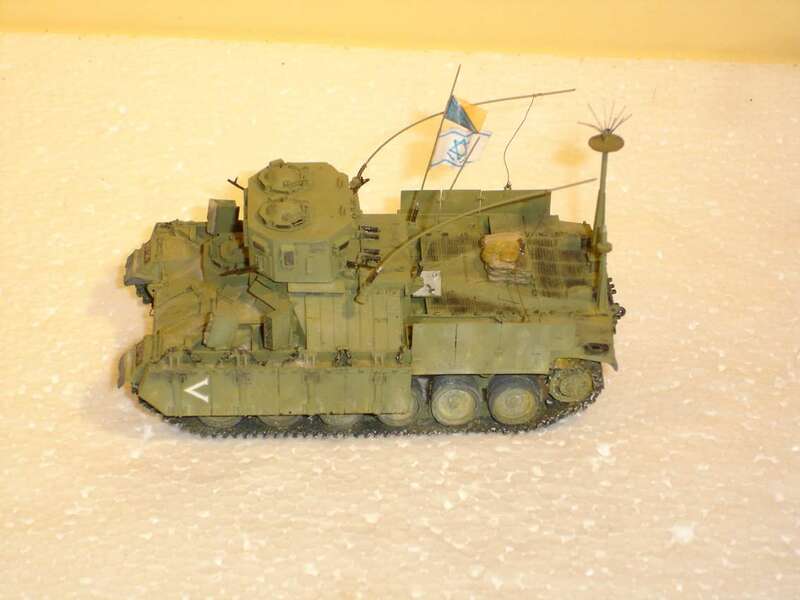 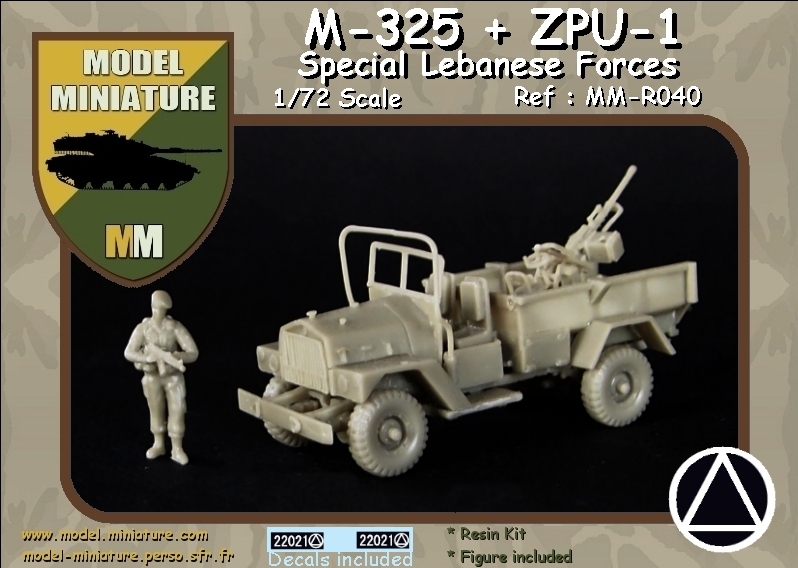 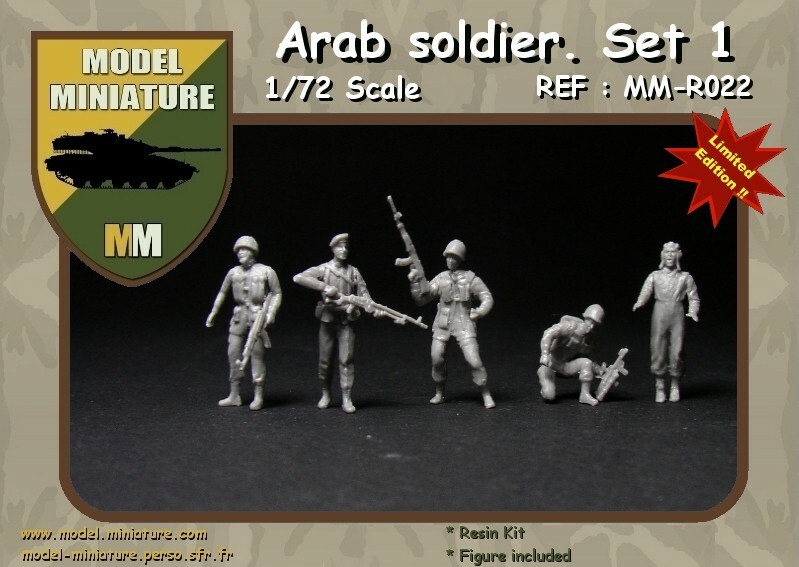 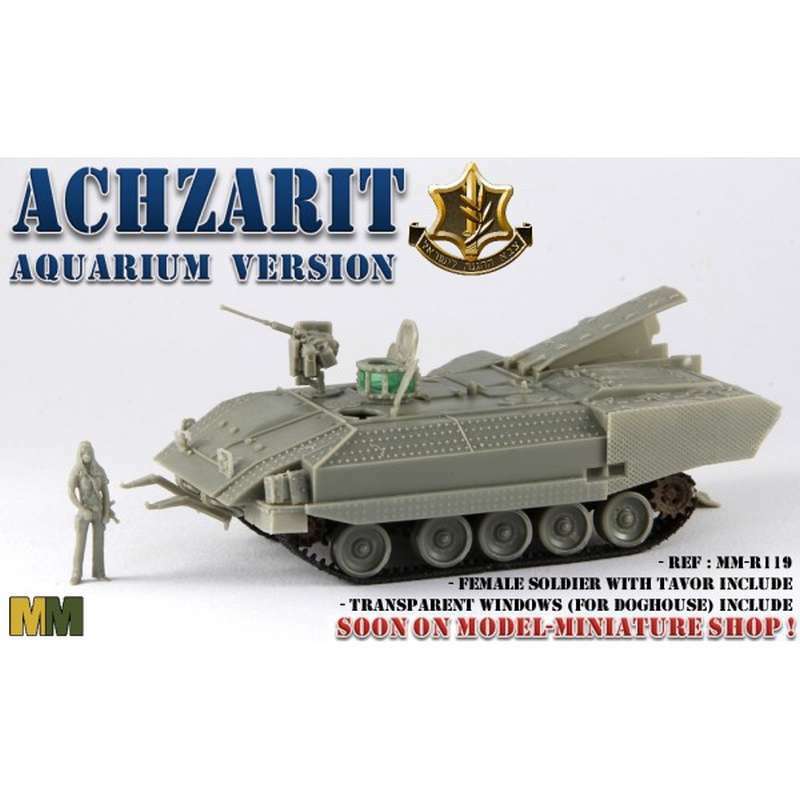 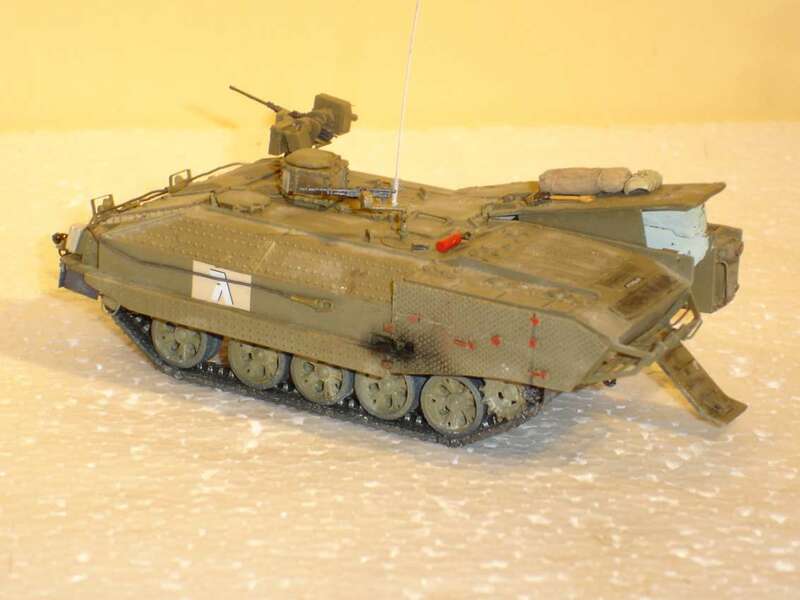 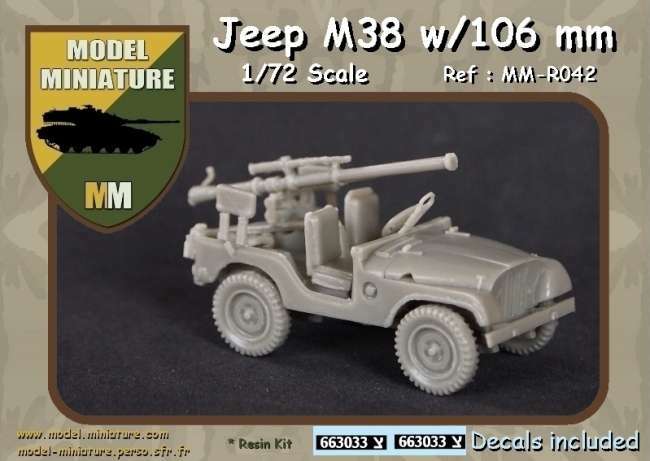 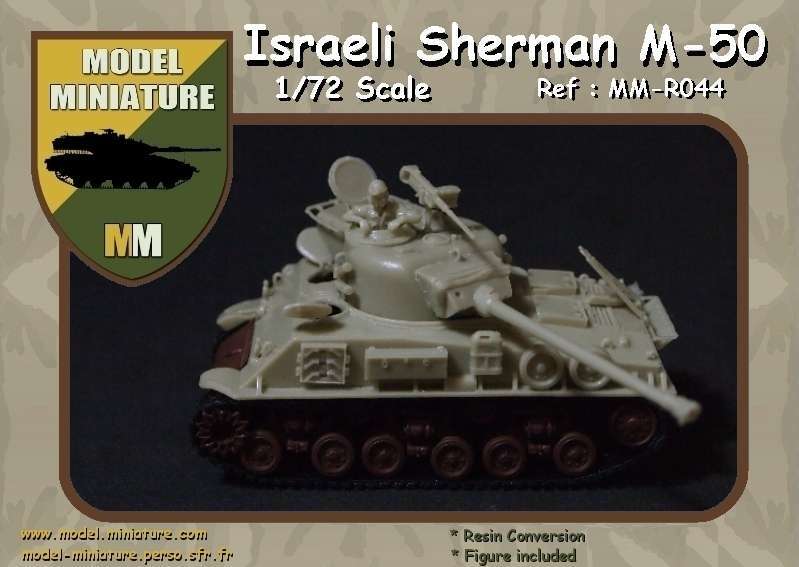 Website Sales for models with different kits for the achievements of vehicles, action figures, accessories and diorama based on a single theme: the Middle East. 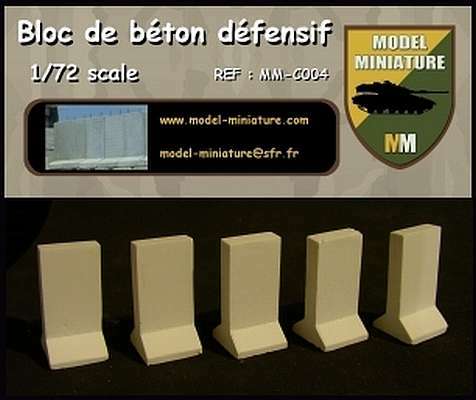 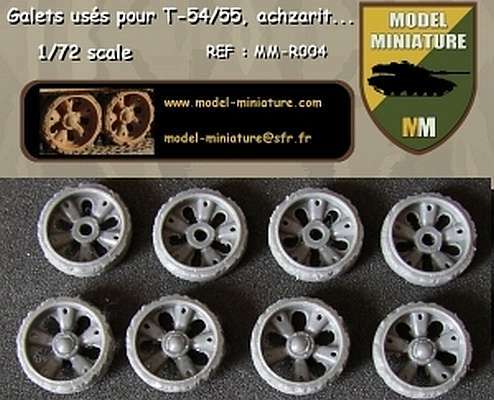 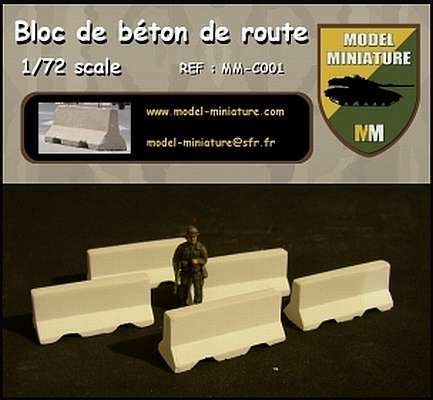 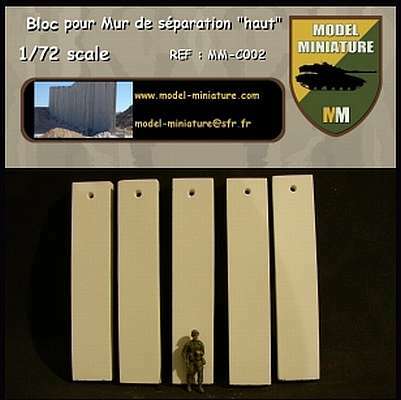 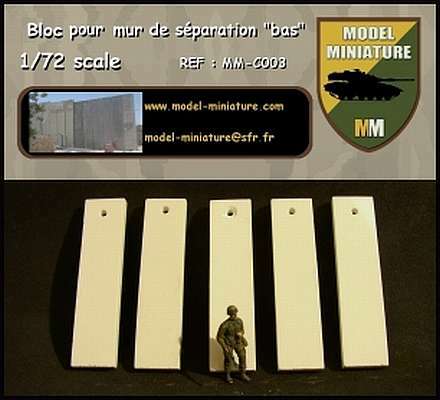 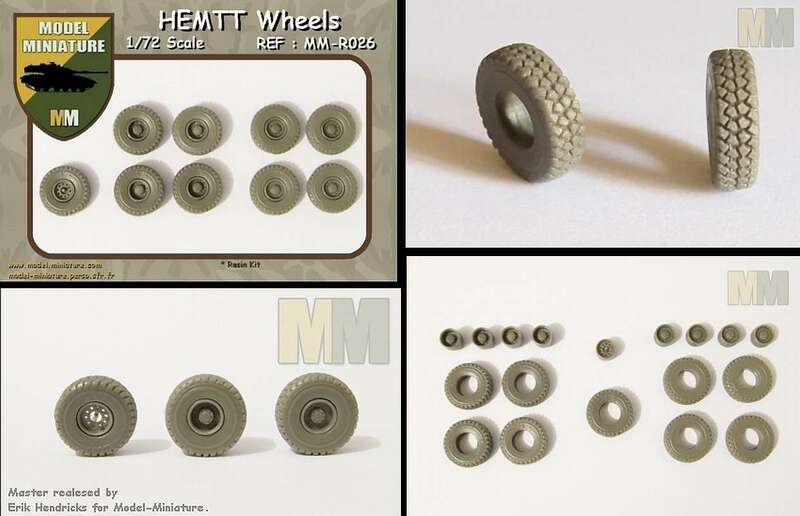 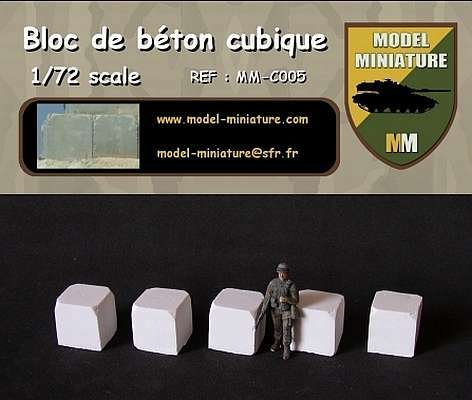 Kit C002 - concrete blocks for wallof separation "high"
Kit C003 - concrete blocks for wall of separation "low"
Kit C006 - concrete blocks "T"
Kit R001 - M-325 "Patrol"
Kit R002 - Wheels for T-55/54 Achzarit,. 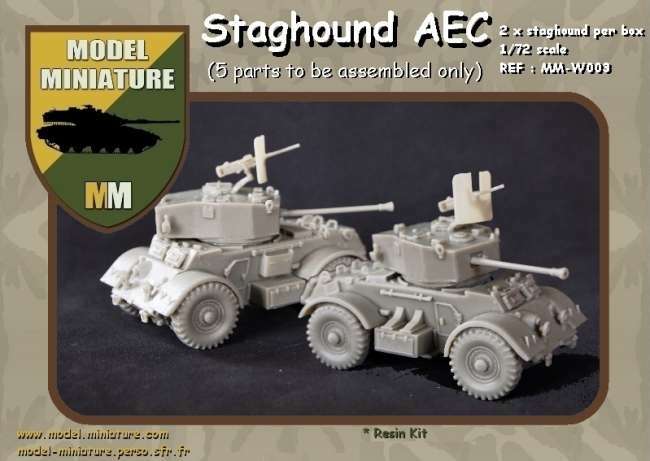 Kit R092 - Heavy APC "Nagmachon"
Kit R119 - Heavy APC "Achzarit"
This is the twin-pack of Staghounds from Model Miniatures. 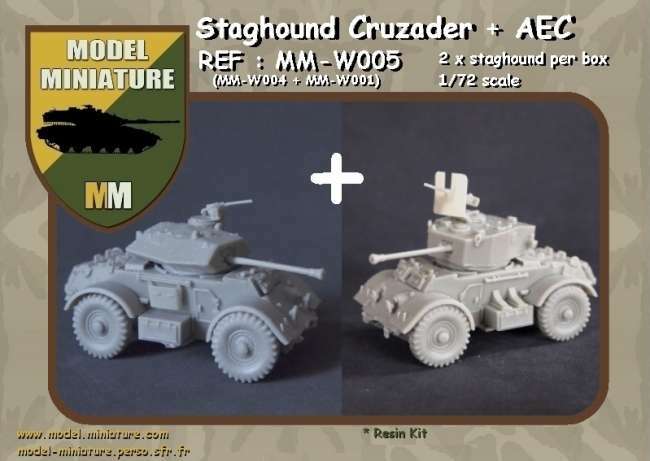 One with Crusader turret and one with AEC style turret. 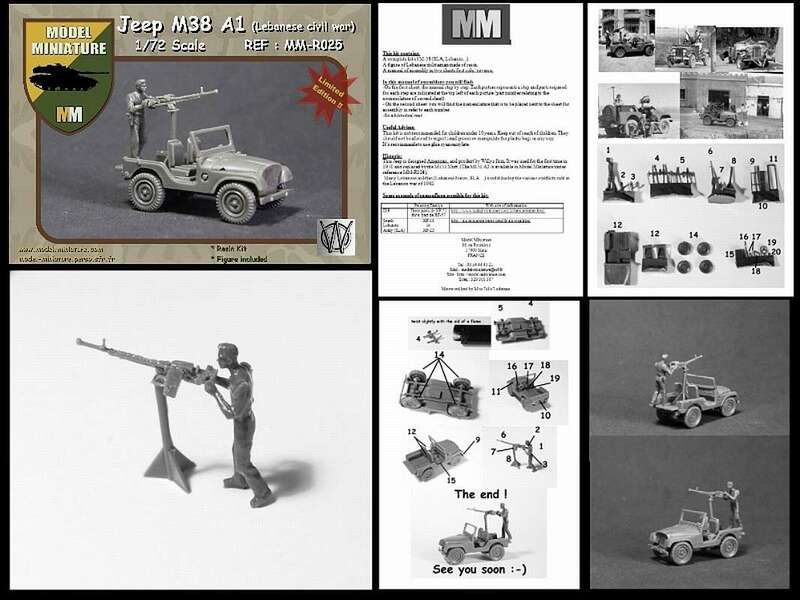 First impressions are generally good. 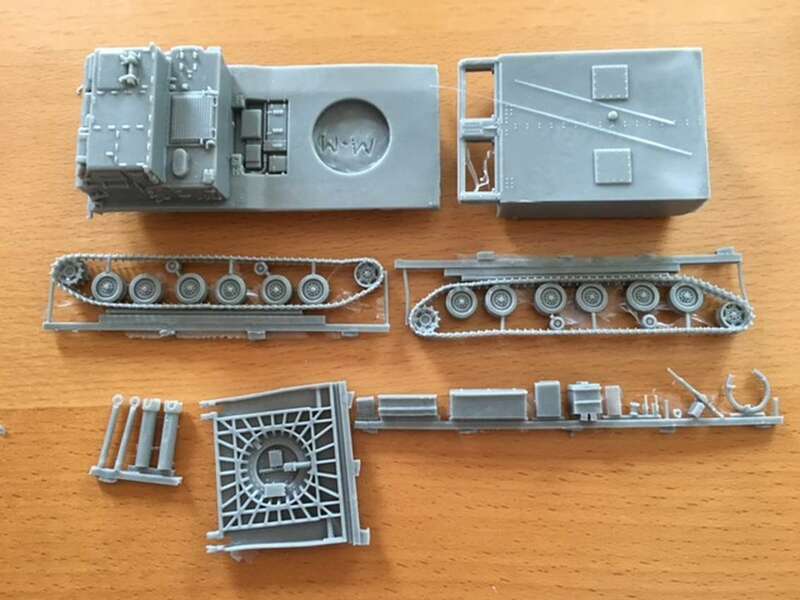 They are made from a very few parts - very similar in style to the Cromwell Combat72 range. 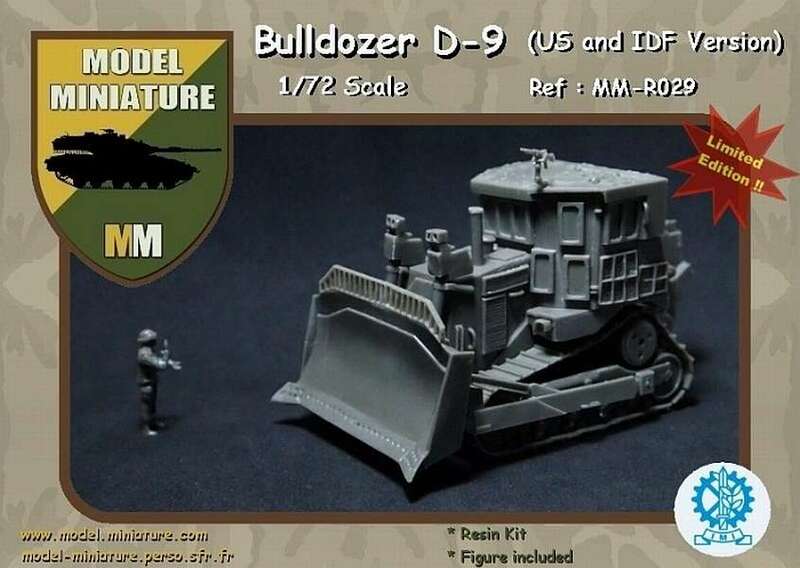 This may not be ideal for perfectionists, but it does make construction simple, and overall quality is good. 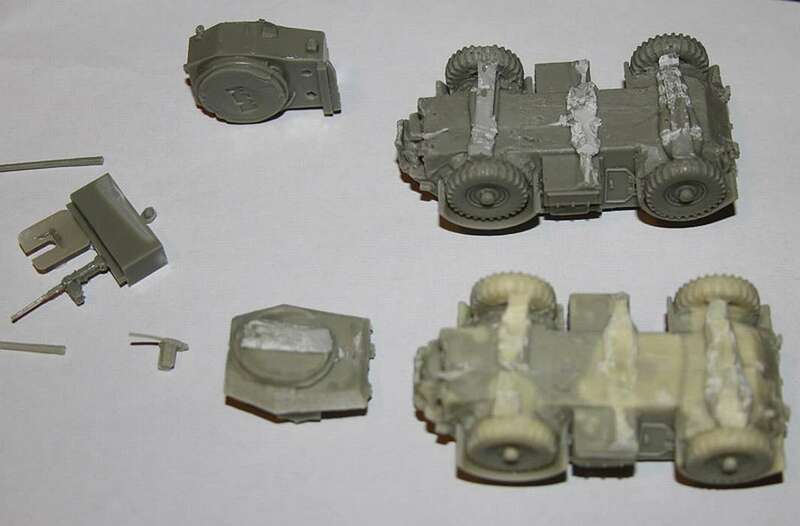 Here's a breakdown of the pieces. 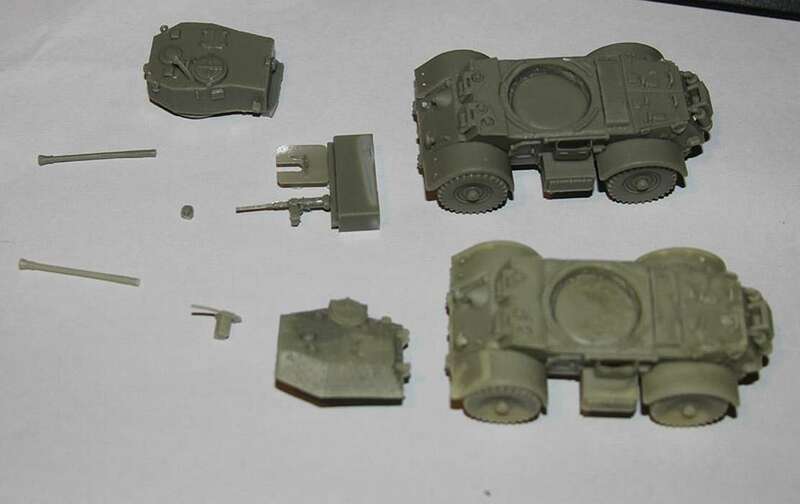 The small blob that is in front of the .50 cal is one of the headlights that got detached during shipping - however it looks pretty easy to restore. 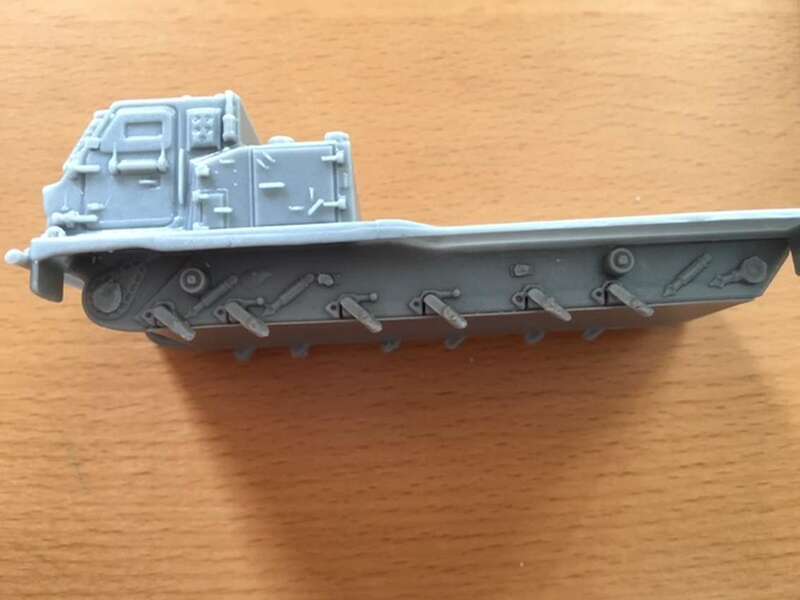 Moulding on the top is good. 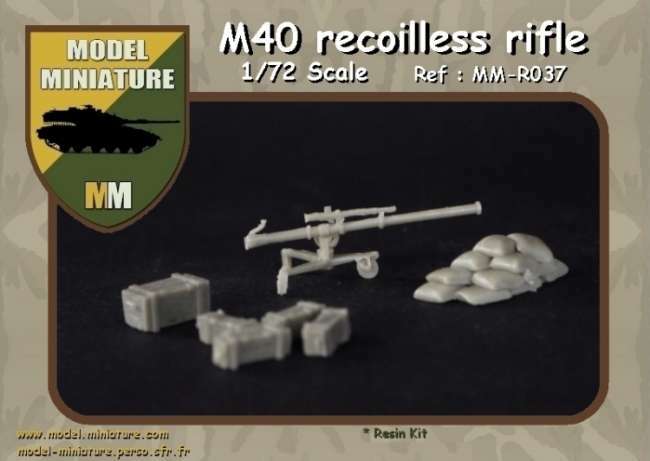 There were no serious moulding problems with my set, except the .30 cal is missing the trigger grip and the barrels for the machine guns and the 75mm OQF are all a little bent - but nothing serious. 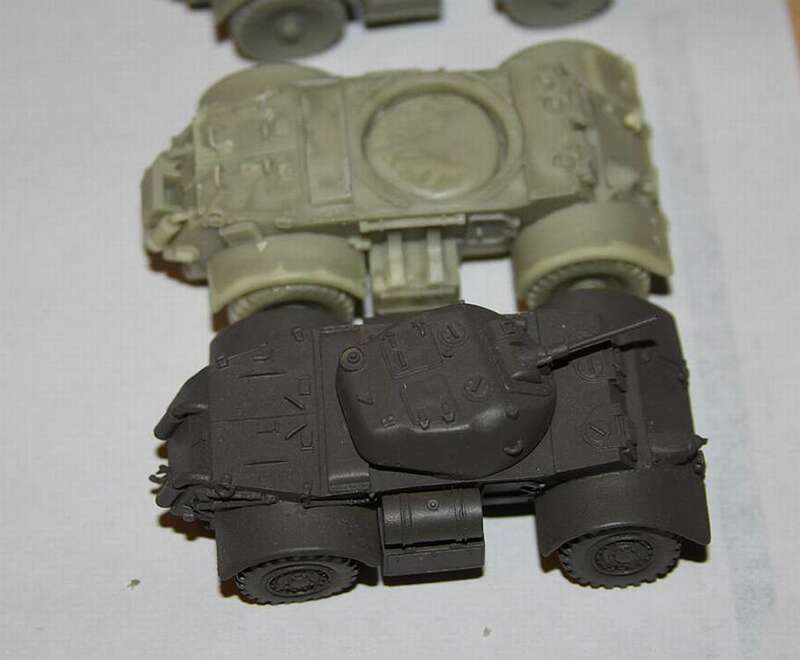 There's a slight sinkage on one side of the Crusader turret but it's fixable. 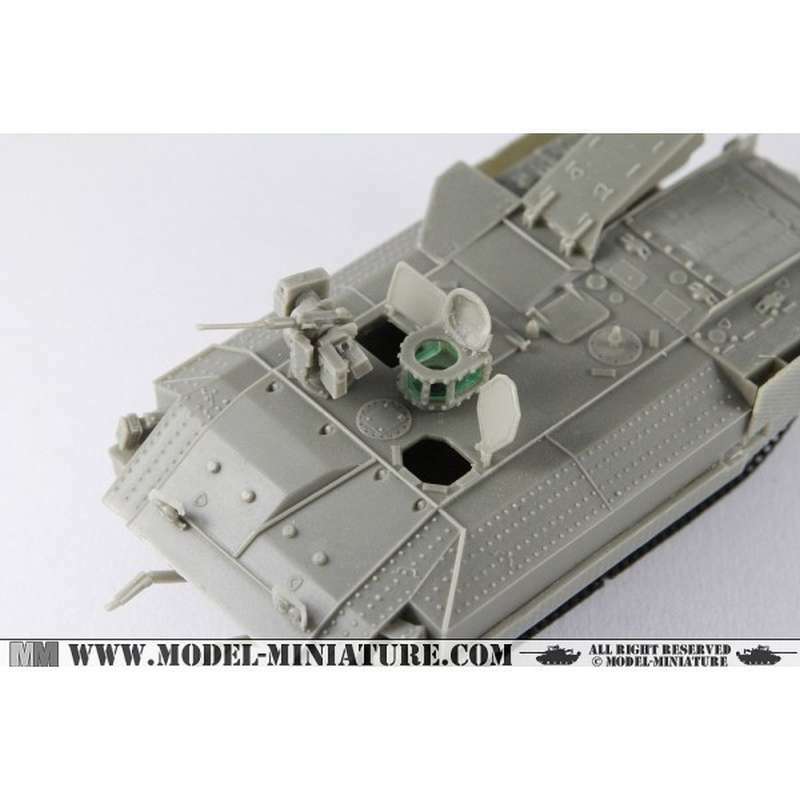 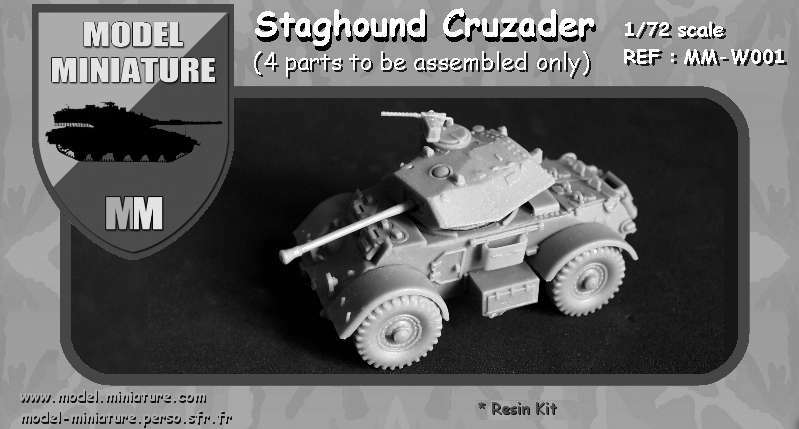 Detail on the upper hull of the Staghound is very nice, with grab handles and thin stowage bins moulded nicely. 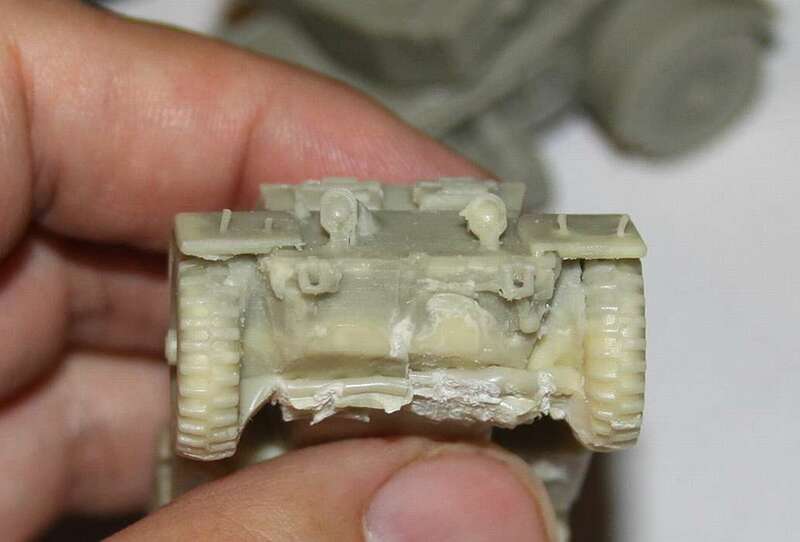 The underneath has no detail, and there is some cleaning up needed around the wheel insides. 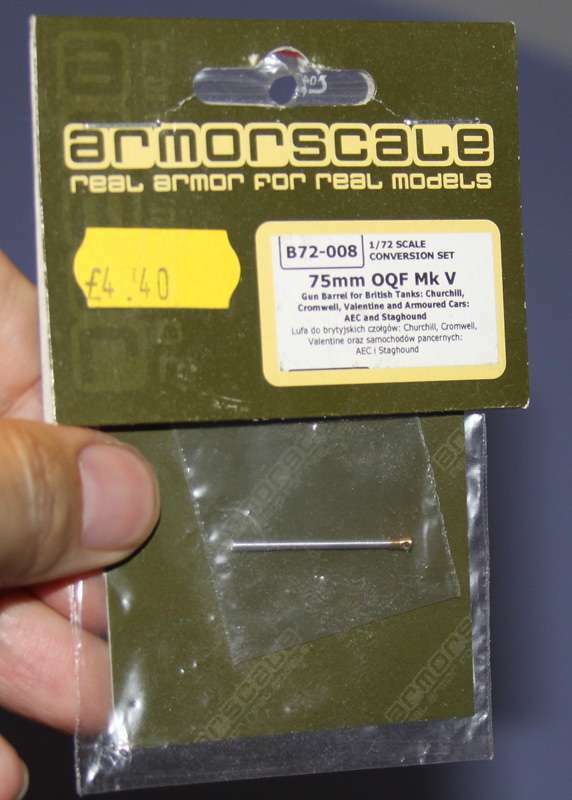 I happened to have a couple of these in my spare box, so I don't need to worry about the barrels! 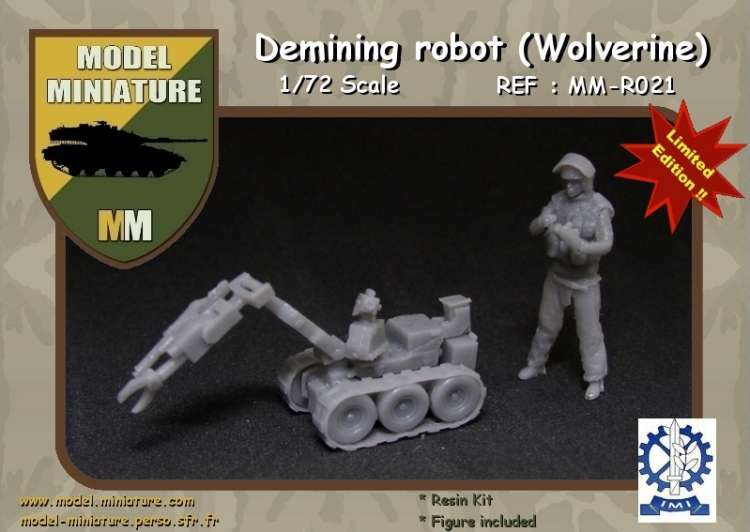 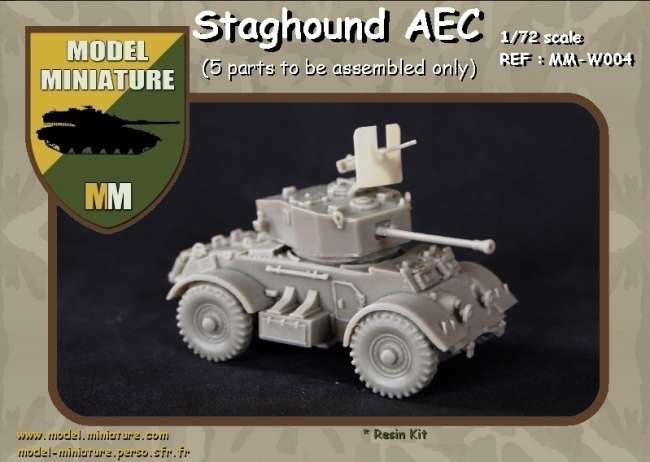 Finally, for scale I compared it with the Alby resin Staghound (I don't have the RPM kit to compare) and it's as good as a perfect match. 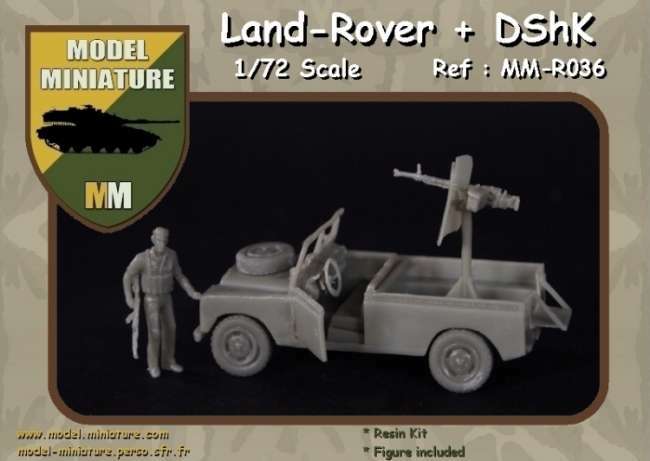 There are slight differences between the two so it's clearly not based on the Alby kit (I suspect it's based on the RPM kit), but they are certainly pretty much identical in scale.